As South Africans, we know how valuable outdoor space is. If we have the opportunity to utilise the fresh air and sunshine for family fun and activities, we need to grab it! 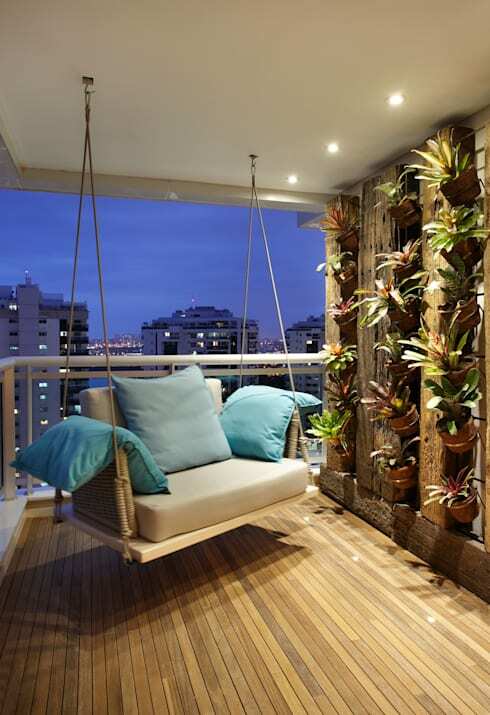 Often, however, we simply don't have enough space on our balcony or terrace. The problem with this is that we end up using this small outdoor space for storage or it ends up looking quite unattractive and outdated very quickly. 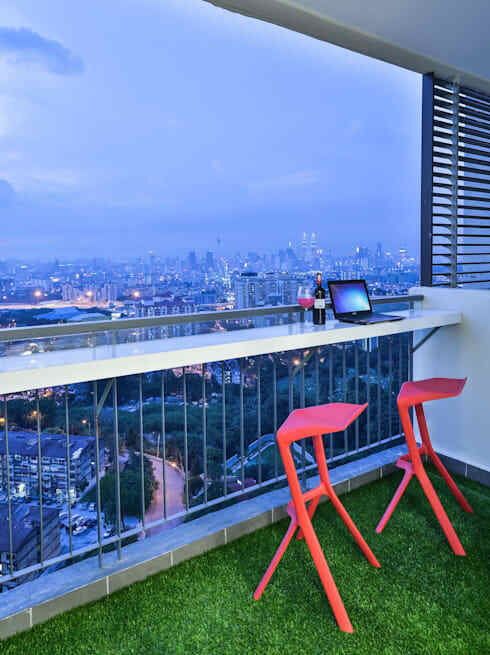 Yet with a little bit of time, a little bit of creativity and a lot of innovation, you can have the most beautiful outdoor space that looks much bigger than it really is. 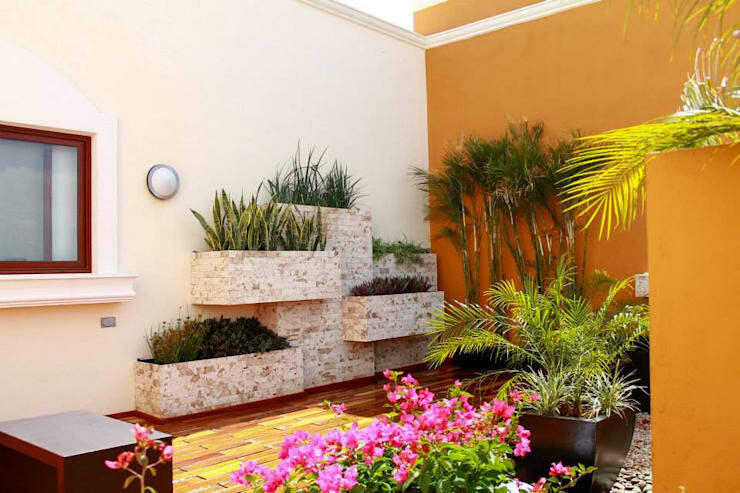 Let us explore these designs from top professionals from around the world today and find out how we can enhance our small outdoor spaces in 22 easy ways. 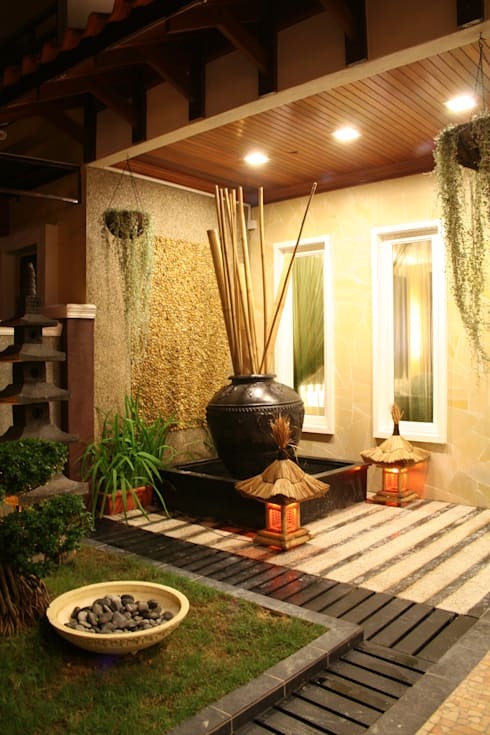 In this design, we can see how a gorgeous Asian theme has been introduced to the little terrace, creating a wonderful focal point that distracts from the size of the area. 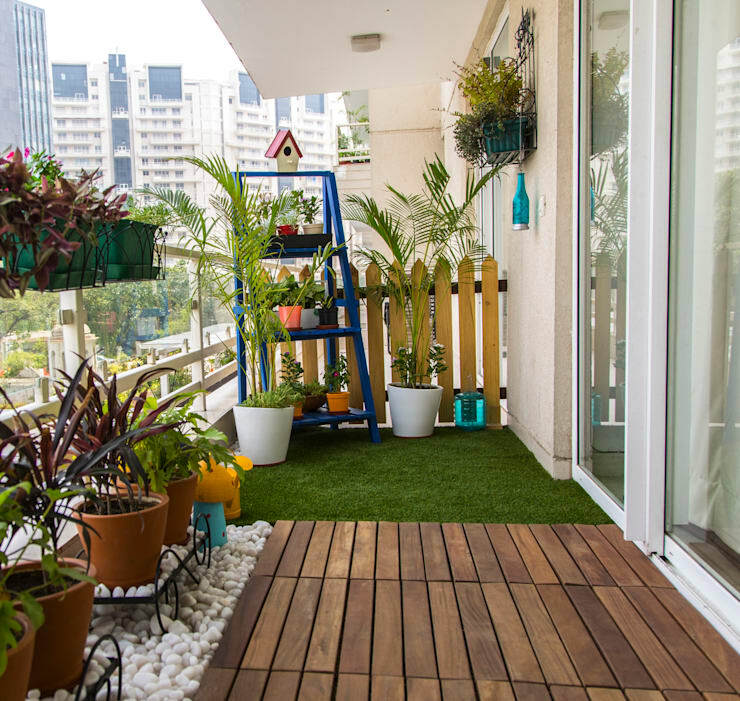 A little and well-organised garden will inject a breath of fresh air into the terrace space, enhancing the look and feel of the space. By utilising the vertical space rather than the horizontal space, you can create a gorgeous design without taking up any floor space. We all know how much South Africans love a good braai! 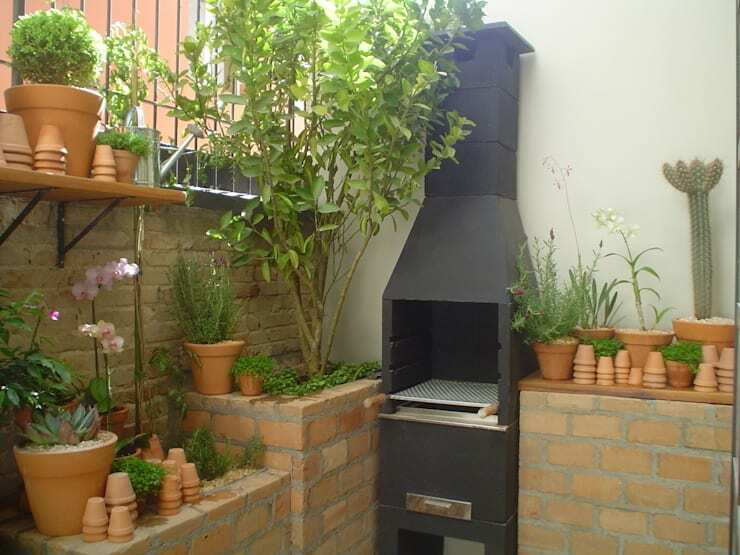 Build a little braai outside and you'll always find an excuse to spend time here. 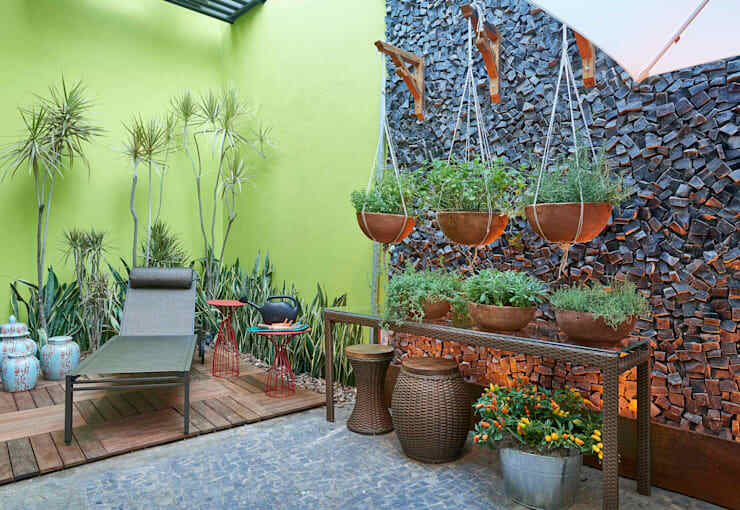 In this design by Lider Interiors, we can see how hanging plants add such value and natural beauty to an outdoor space giving it a slightly rustic look and feel. If you have a beautiful South African landscape surrounding the home, all you need is a little bar and you're set! This is a very modern and chic design! These will reflect the natural sunlight that filters into this space, making it seem that much more spacious and expansive. This is another example of how beneficial the vertical space can be. 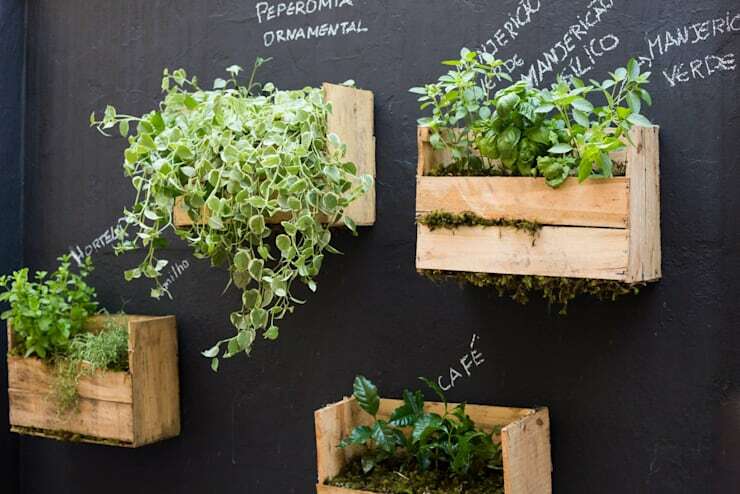 Have a look at how you can: Create and plant a vertical garden. Entertain friends with afternoon sundowners or early morning coffees, while taking up very little room. With some comfortable bar stools and a few funky decor items, you can have the most gorgeous outdoor spot on the block! 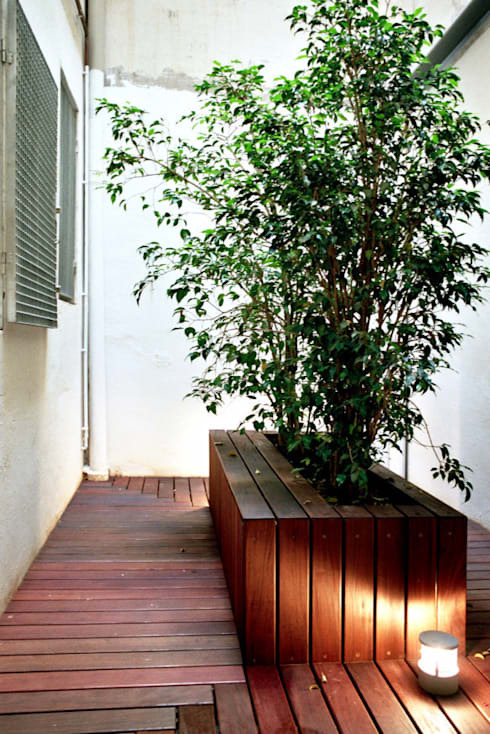 Easy, economical and oh so refreshing, this is a great option for any small outdoor space. 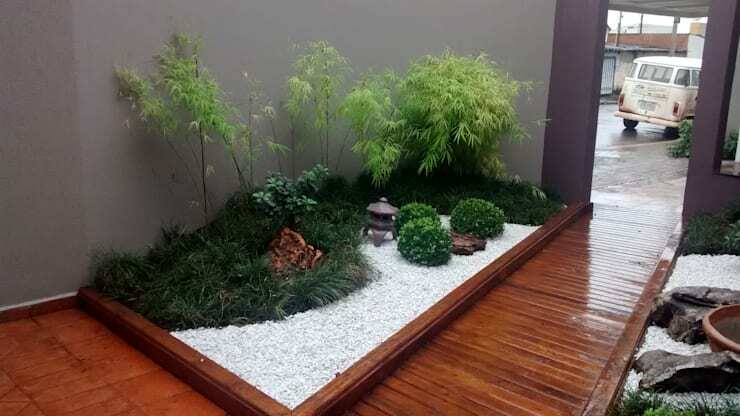 Have a look at these: Ideas for your home using artificial lawn. 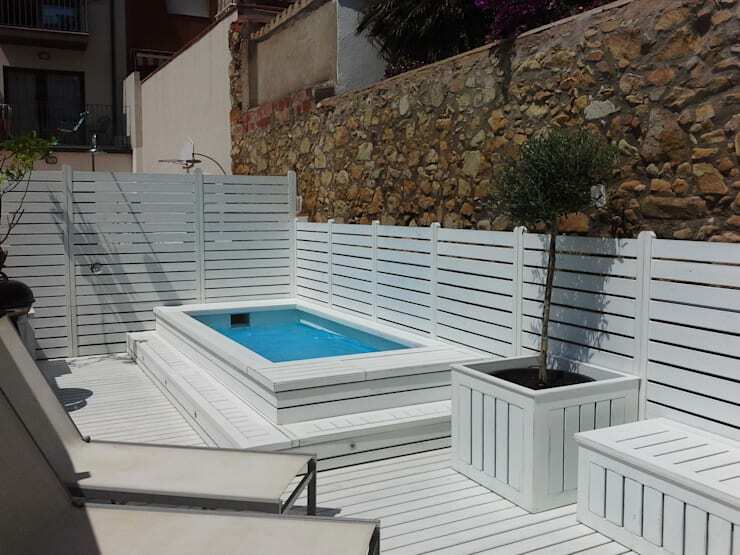 If you have the space, even for a small plunge pool, go for it! We know how hot South African summers get and you'll appreciate the chance to cool off. 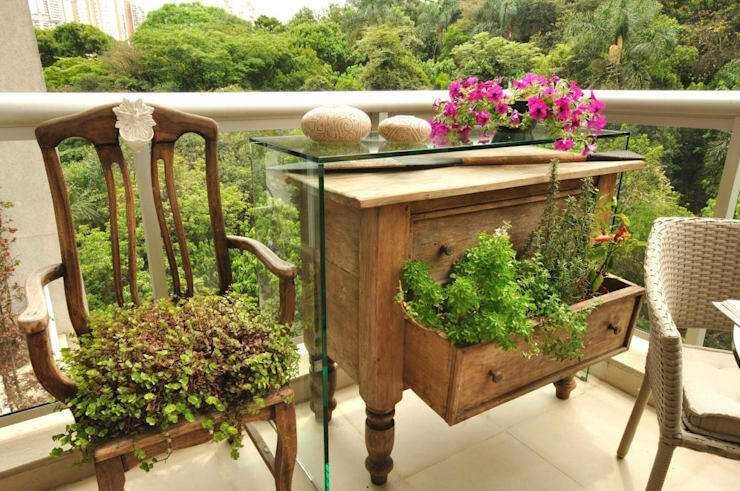 Recycle old palettes or crates to create innovative and trendy pieces of furniture for your outdoor area. What's more is that this can be a fun DIY project for the whole family! 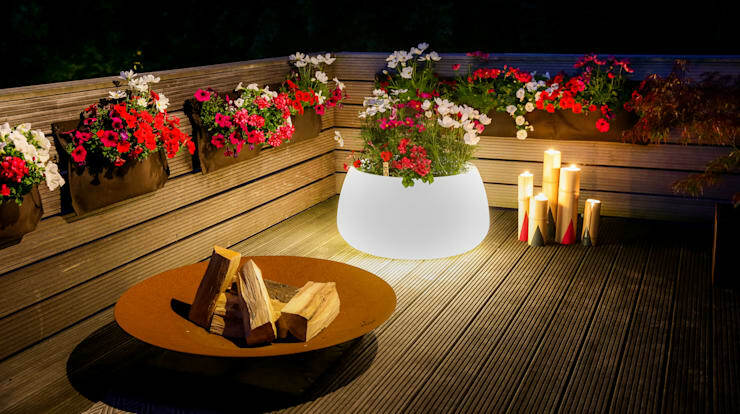 With beautiful soft lights such as lanterns, candles or lamps, you can enhance the details and design of your terrace while creating the most beautiful mood and ambiance. Go to second-hand stores and invest in old antique furniture for next to nothing, bringing a very classic and charming touch to your outdoor area. 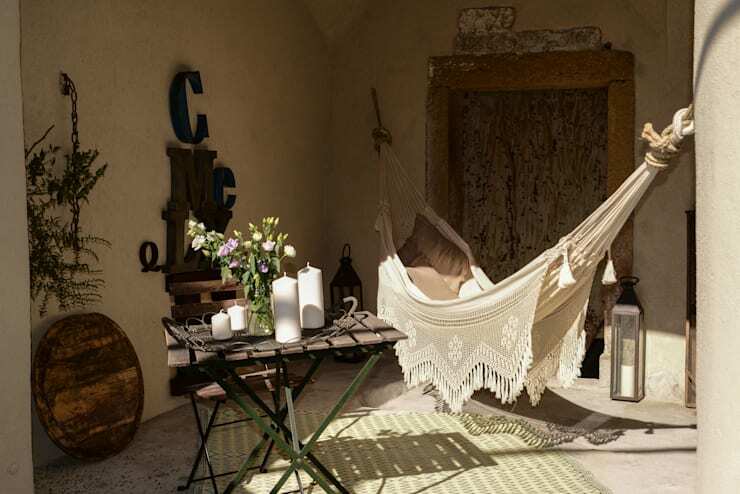 Use a hammock to add a Bohemian look and feel to your outdoor area, while creating a comfortable area to enjoy reading your book or relaxing into an afternoon nap. You don't need to overwhelm your outdoor space with too many objects or items. Use a simple bench with a tree in the middle for a very sophisticated and practical design that combines function and natural beauty. 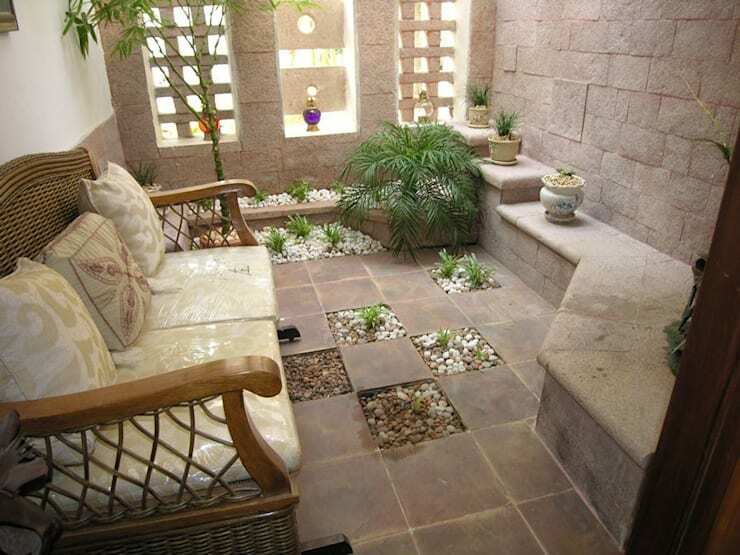 By introducing raw materials into your outdoor space, you can create a wonderful earthy look and feel. 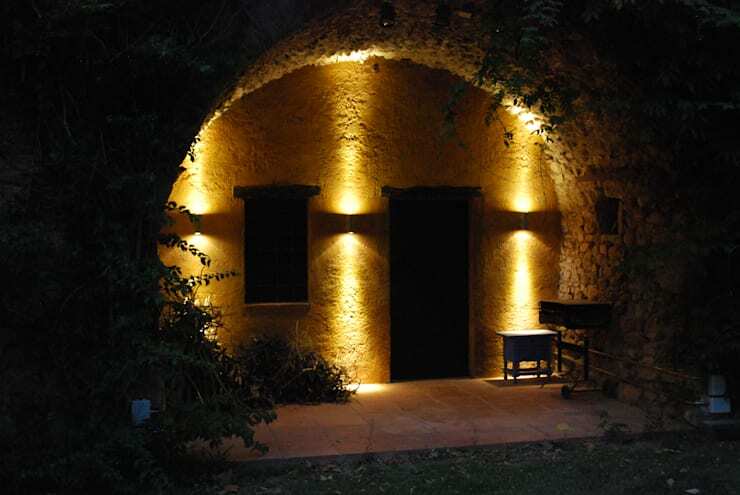 Here we can see how the stone design is completely enhanced by the beautiful and soft lighting. 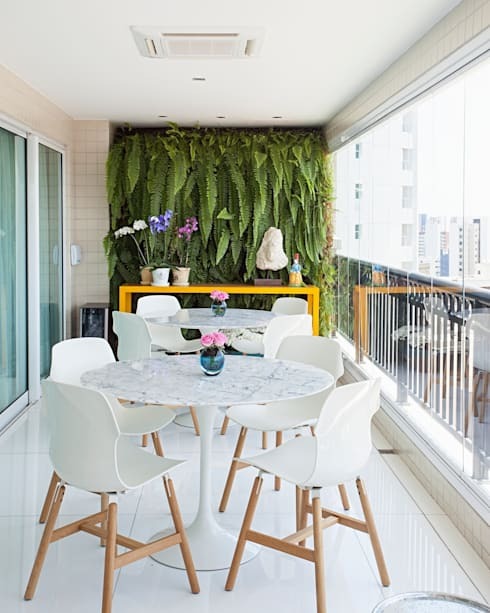 Add little pot plants or flower beds throughout your outdoor space to add some subtle yet stylish touches of beauty and greenery to the space. 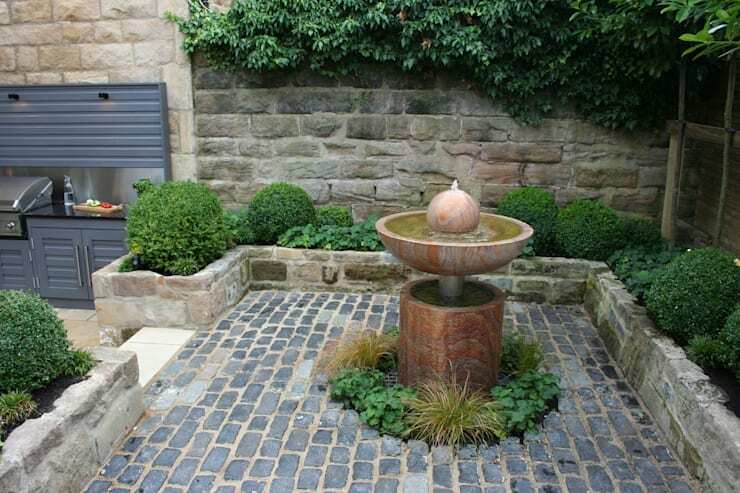 Water features are a stunning addition to an outdoor space, introducing a calming sound and a soothing look and feel. 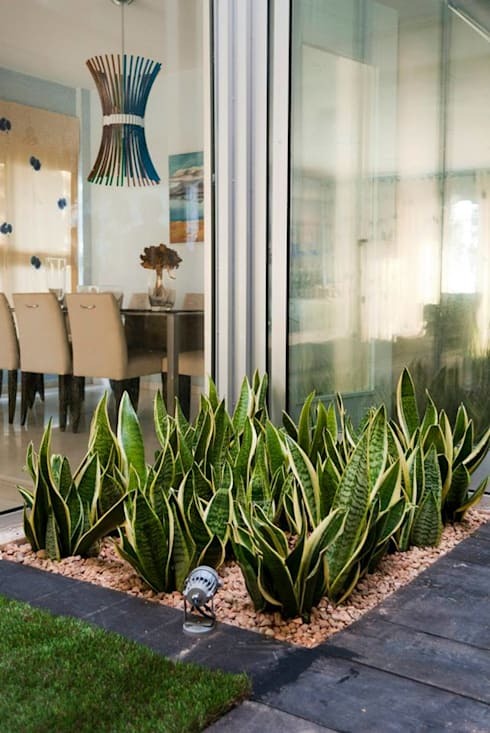 Use sliding doors or large glass windows and doors to connect your outdoor space to your interior space. This will open the home up and create a wonderful flow between the different spaces. 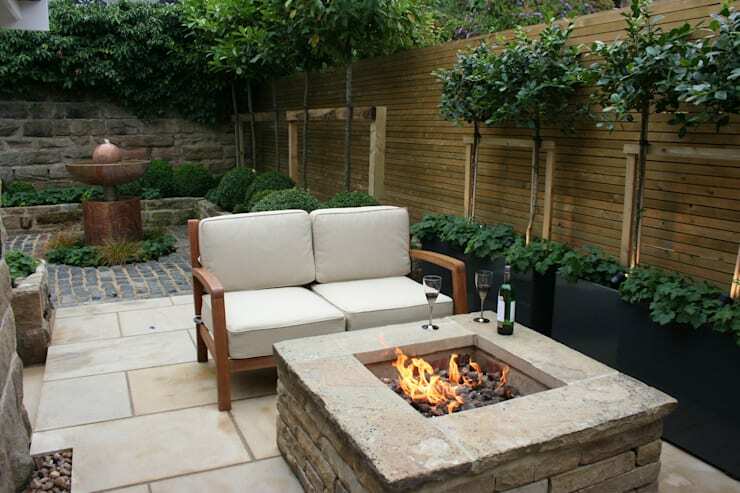 A firepit is another example of how you can create a wonderful focal point outside, ensuring that your terrace or patio is the most beautiful spot in the neighbourhood!